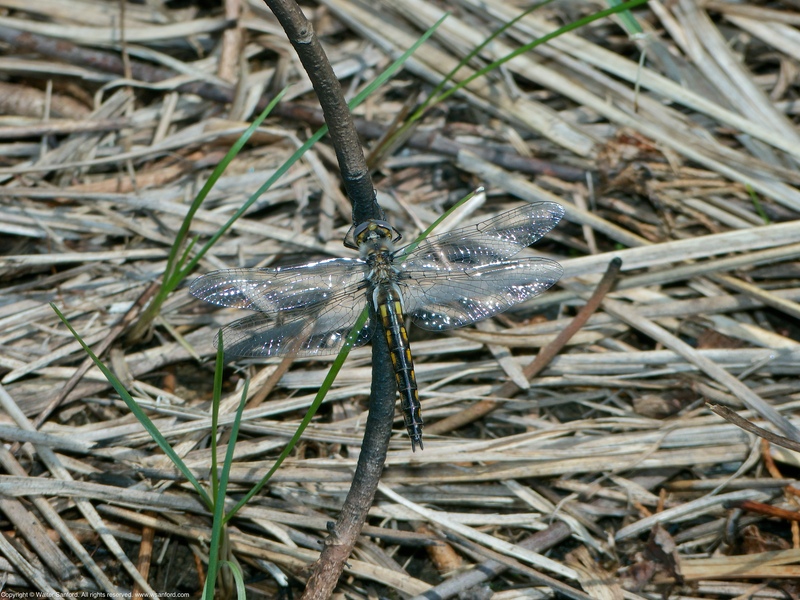 A Common Baskettail dragonfly (Epitheca cynosura) was spotted near Painted Turtle Pond during a photowalk at Occoquan Bay National Wildlife Refuge, Prince William County, Virginia USA. 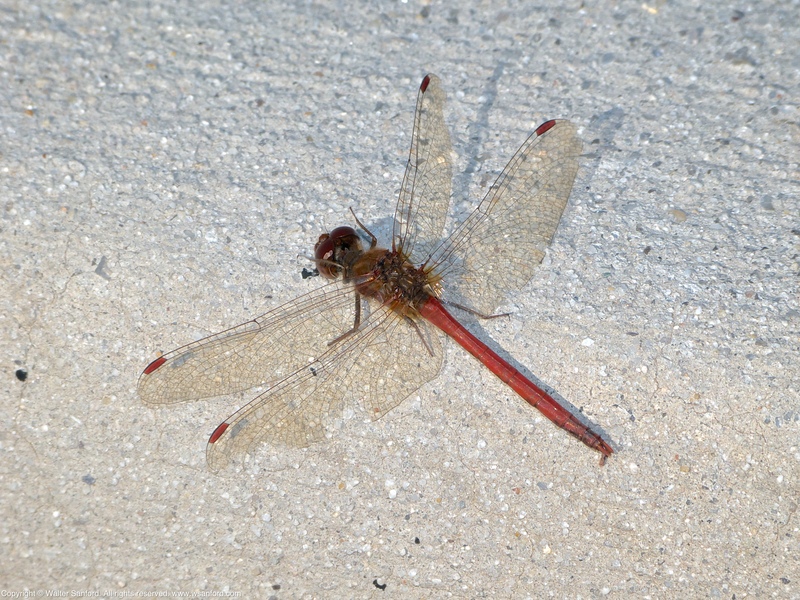 This individual is a teneral female, as indicated by her tenuous wings and relatively short, straight terminal appendages. 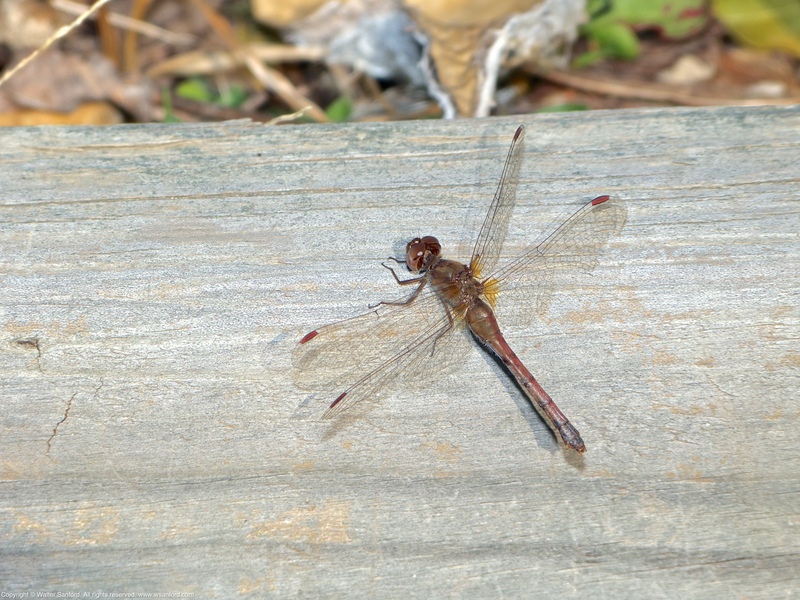 Spring 2018 has been slow to spring in the mid-Atlantic USA, as evidenced by the fact that the first Common Baskettails were spotted at Painted Turtle Pond beginning in mid-April 2017. 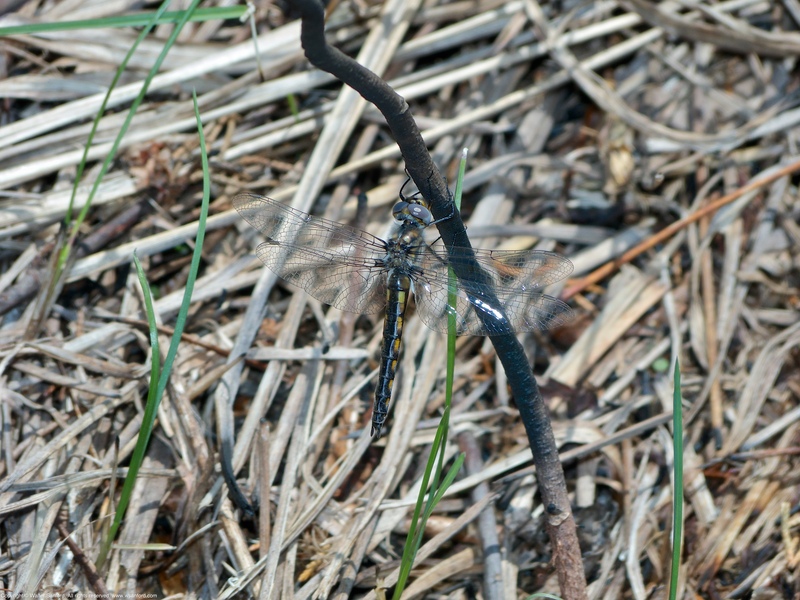 Late-stage emergent baskettail dragonfly, 13 April 2017 at OBNWR. 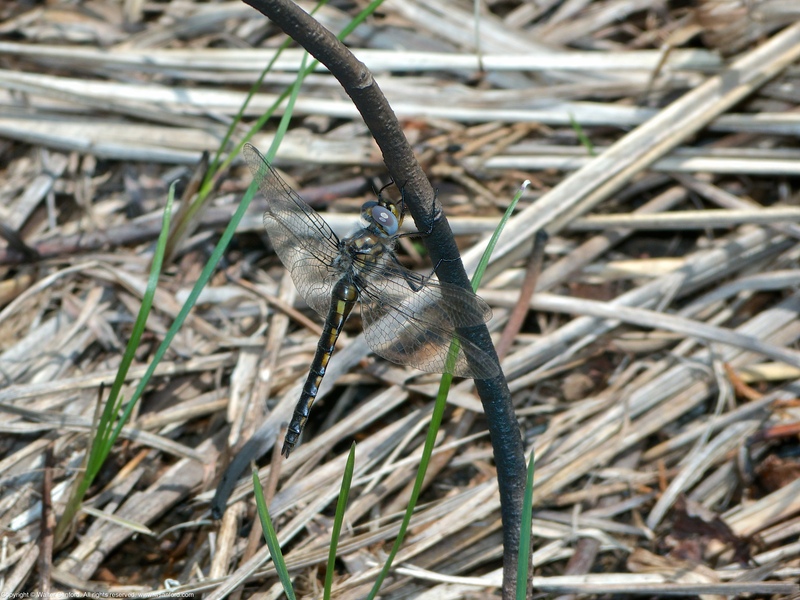 Common Baskettail dragonfly (male), 13 April 2017 at OBNWR. A “Woolly Bear caterpillar” was spotted during a photowalk at Occoquan Bay National Wildlife Refuge, Prince William County, Virginia USA. Wooly Bear caterpillar is the larval form of the Isabella Tiger Moth (Pyrrharctia isabella). The Woolly Bear caterpillar has 13 distinct segments of either rusty brown or black. The wider the rusty brown sections (or the more brown segments there are), the milder the coming winter will be. The more black there is, the more severe the winter. 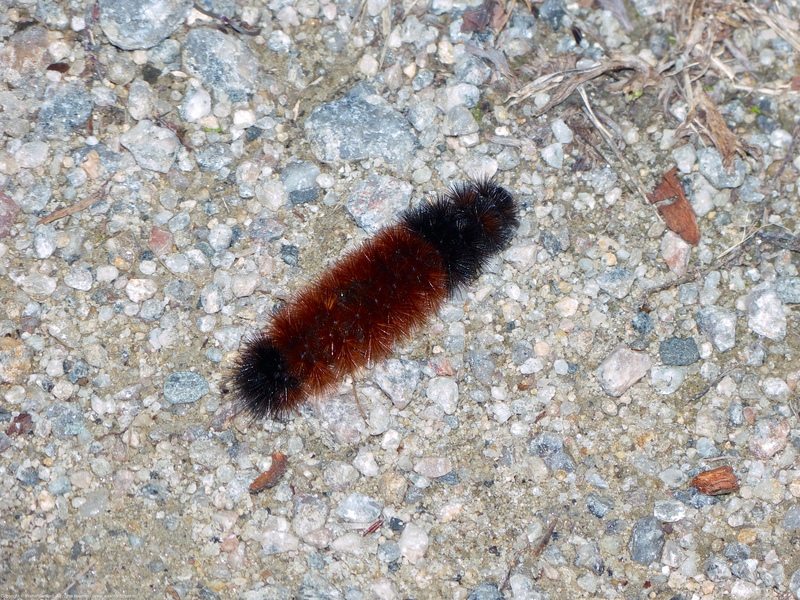 Source Credit: WOOLLY BEAR CATERPILLARS AND WEATHER PREDICTION – USING WOOLLY WORMS FOR A WINTER FORECAST, The Old Farmer’s Almanac. Is the legend scientifically valid? …this myth has been around since, you know, the colonial times. But in 1948, this curator of entomology from the American Museum of Natural History, Dr. Howard Curran, he did a little study. He went out to Bear Mountain, New York, and he counted the woolly bears, the bands – the brown bands of the woolly bear there. And he counted about 15 different specimens, and he made a prediction. Source Credit: The Myth of the Woolly Bear, National Public Radio. Problem is, a sample size of 15 is insufficient for making meaningful conclusions. So looking at one caterpillar, as I did, is completely meaningless. Nonetheless, I always think of the legend whenever I see a Woolly Bear and wonder what it tells me about the upcoming winter. WOOLLY BEAR CATERPILLARS AND WEATHER PREDICTION – USING WOOLLY WORMS FOR A WINTER FORECAST, The Old Farmer’s Almanac. 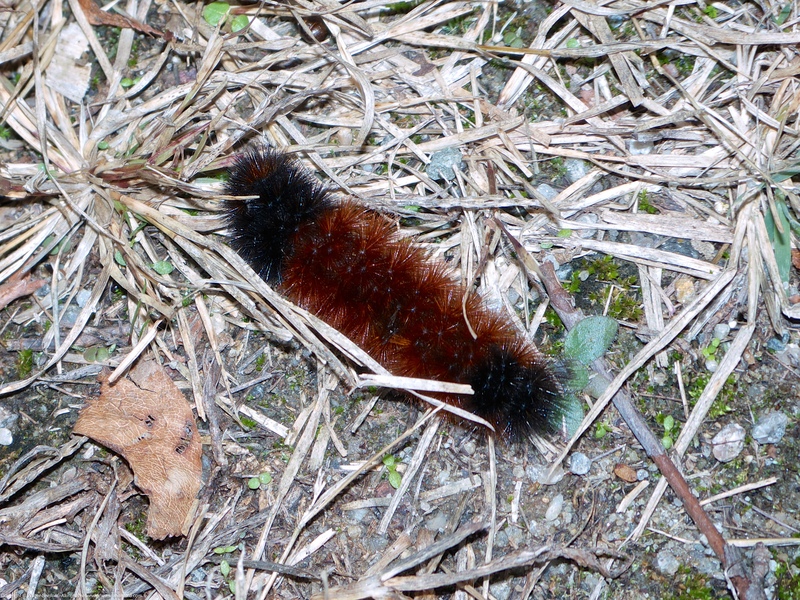 The Myth of the Woolly Bear, National Public Radio. The first photo shows “The Osprey’s at Belmont Bay,” as seen from the opposite side of Belmont Bay. 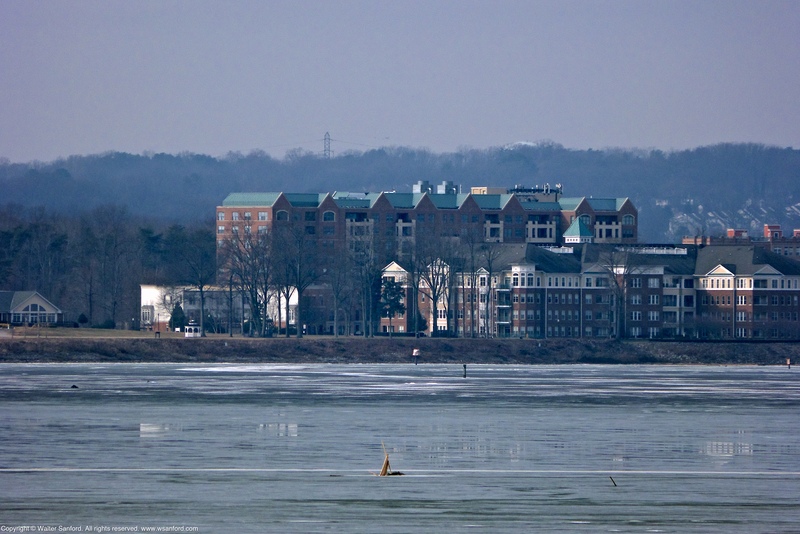 “The Osprey’s” community shares a common boundary with Occoquan Bay National Wildlife Refuge, located to the left of this photo. The next photo shows the near shoreline of Belmont Bay. 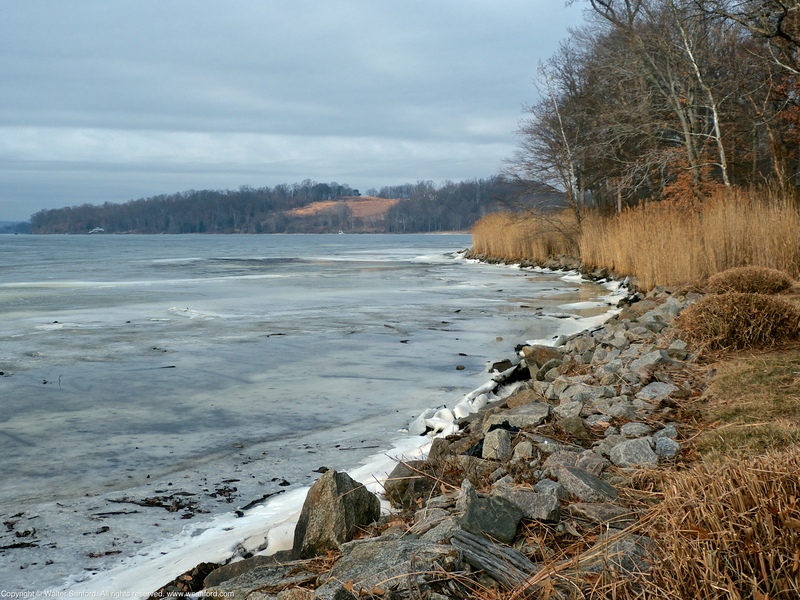 The bay is almost completely covered by ice after two weeks of below-freezing temperatures. Notice the duck blind located in the water. 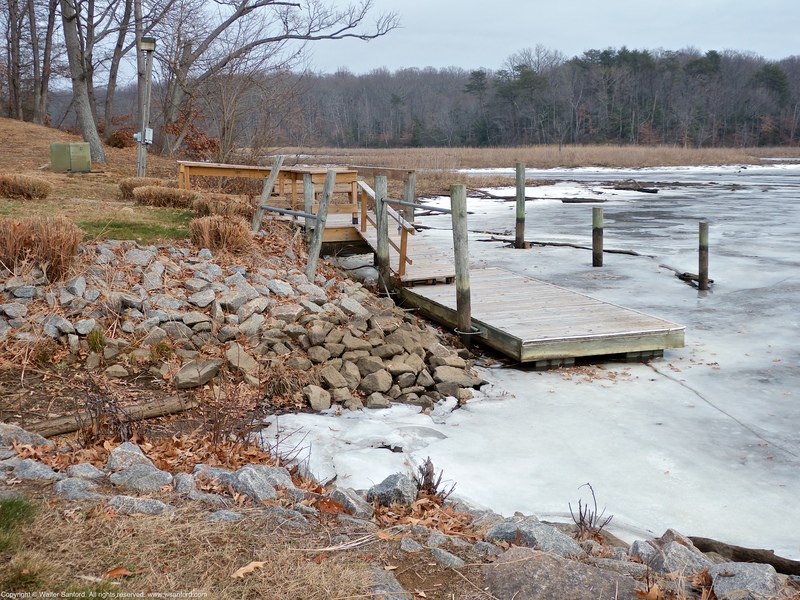 The following photo shows a dock and boat ramp located at the mouth of a small stream that is a tributary of Belmont Bay. 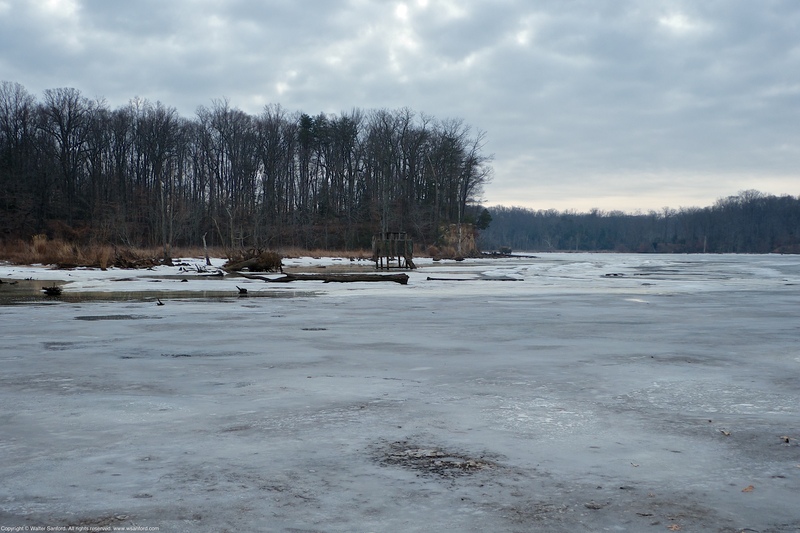 The next photo is located upstream from the dock and boat ramp. 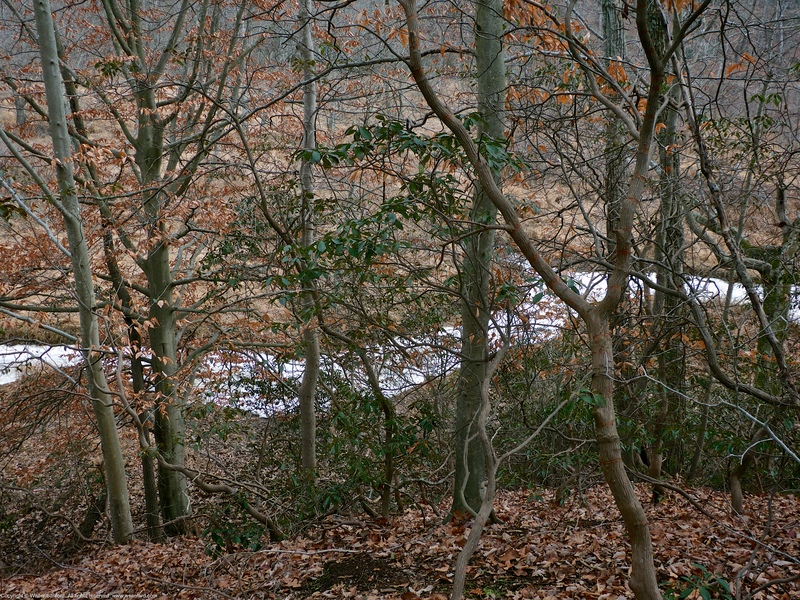 The last photo shows a location far upstream from Belmont Bay. The stream is located at the bottom of a steep-sided valley. 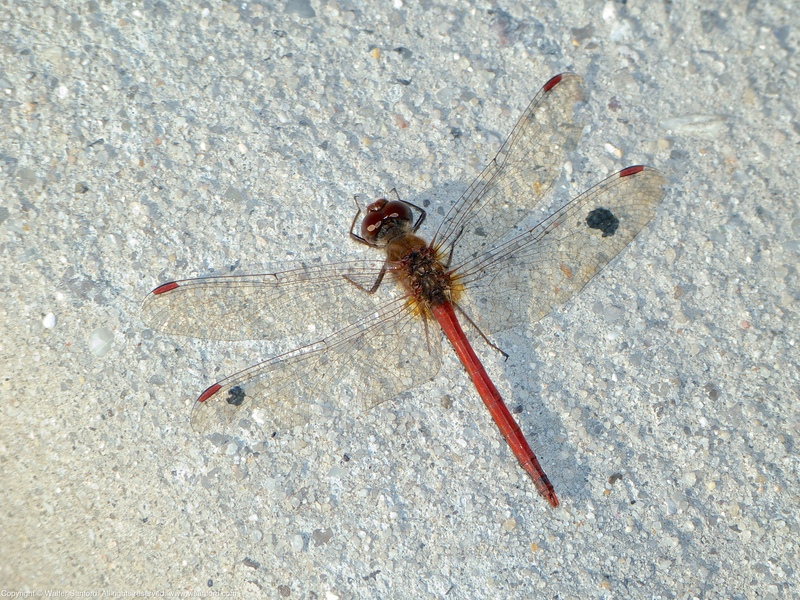 On 01 December 2017 I didn’t see any Autumn Meadowhawk dragonflies (Sympetrum vicinum) during a photowalk along Easy Road at Occoquan Bay National Wildlife Refuge, Prince William County, Virginia USA. 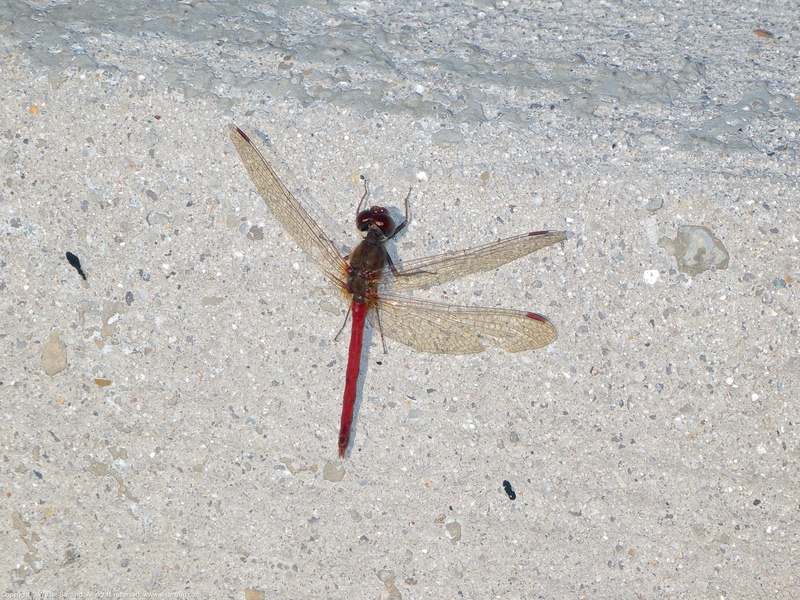 In contrast, I saw several Autumn Meadowhawks perched on man-made structures such as a concrete curb in the blacktop parking lot at the refuge. 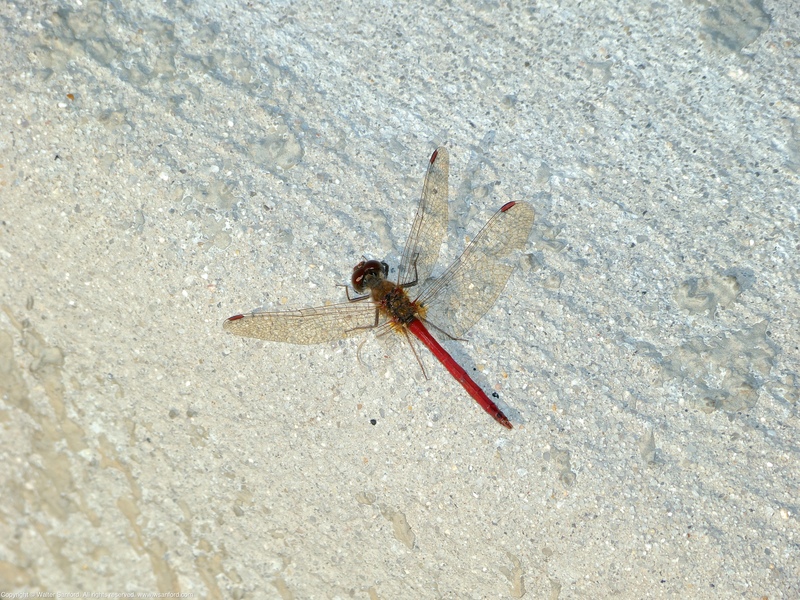 All of the dragonflies were perched on vertical surfaces that received more direct insolation than horizontal surfaces. The parking area seems to be an urban heat island microclimate that exists within a larger natural area. 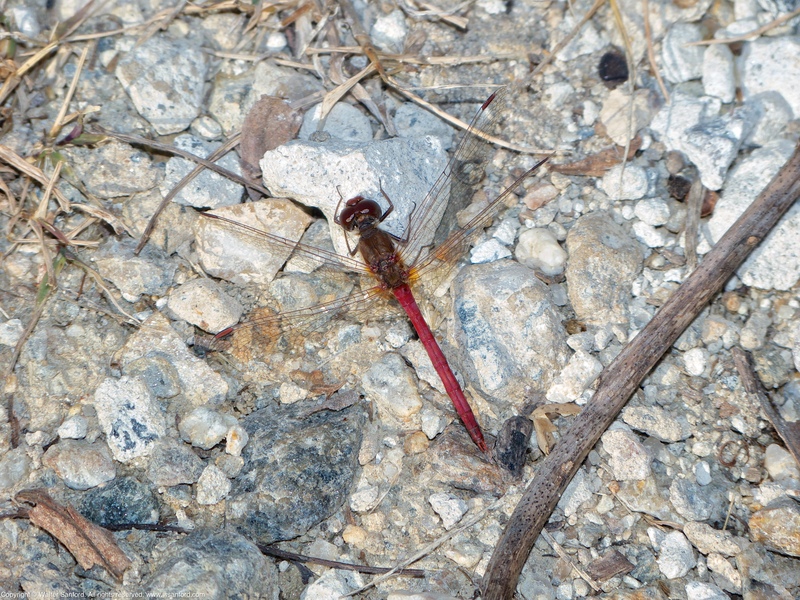 The first individual is a male, as indicated by his terminal appendages. Although the male is missing one of four wings, he was able to fly well enough to move to three different perches along the curb. 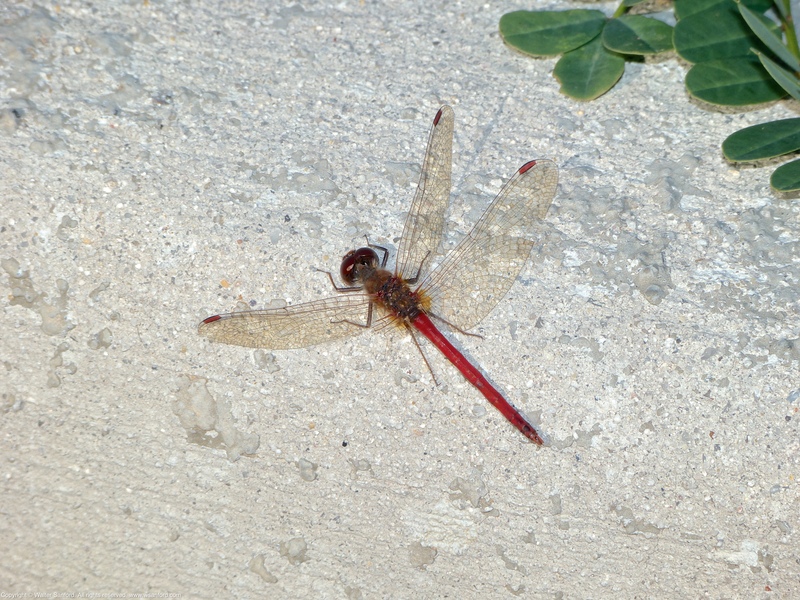 The next male has a full set of four wings; his wings are tattered slightly, as expected toward the end of dragonfly season. The last photo shows the male grooming and excreting at the same time. 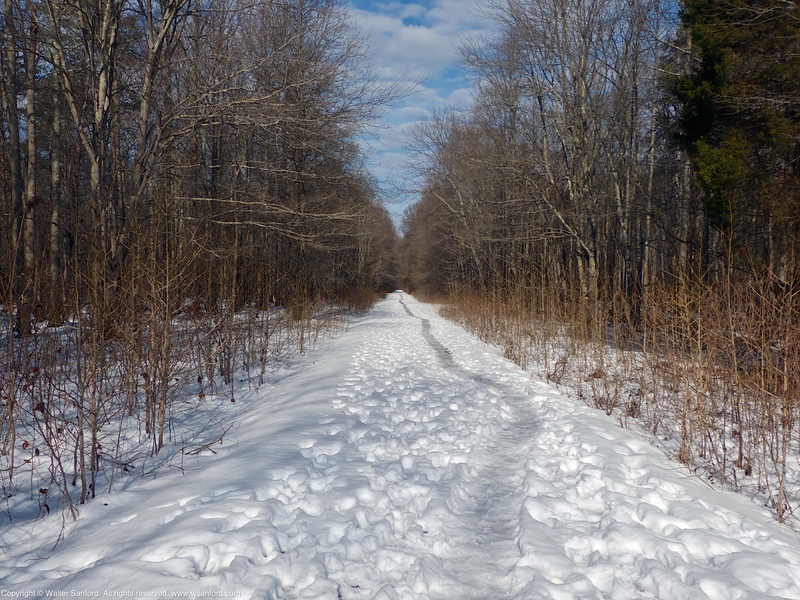 The season called “winter” is defined two ways: atmospheric scientists, including meteorologists and climatologists, define winter as the three-month period from December to February; astronomers define winter as the time period that begins on the December Solstice (12/21) and ends on the March Equinox (03/21), although the actual dates for these events may vary slightly. The last two photos show the same male, perching on different surfaces. My guess is he was looking for a good source of thermal energy on a cool, windy day. The Sun is always low in the sky during winter, even at its maximum altitude. Indirect incoming solar radiation (insolation) is less intense than direct insolation. 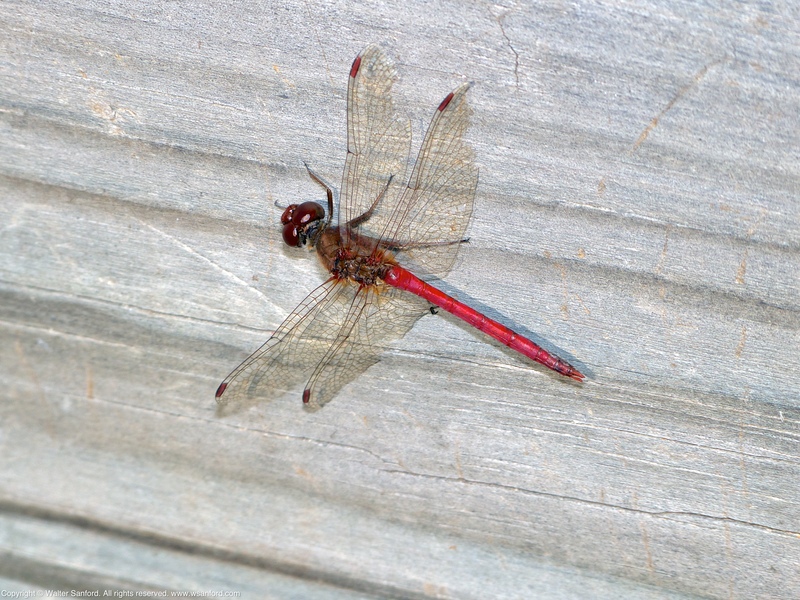 The last photo shows the male dragonfly perched on a south-facing wooden board that is perpendicular to the surface of the Earth, therefore the solar energy received by the board is more intense than the energy received by the ground. This probably explains why the male moved from the ground to the board. The last photo was taken on 01 December 2017 at 11:33:50 a.m. EST, as shown by the EXIF information for the image. The altitude of the Sun was 28.9° at 11:30 a.m., meaning a ray of sunlight formed an angle of 28.9° with horizontal surfaces such as the ground. At the same time, a ray of sunlight formed an angle of 61.1° with vertical surfaces such as the wooden board shown in the first and last photos. That’s the beauty of mathematics — some simple geometry shows clearly which surface received more intense insolation. Smart dragonflies! Related Resource: Sun or Moon Altitude/Azimuth Table, U.S. Naval Observatory. 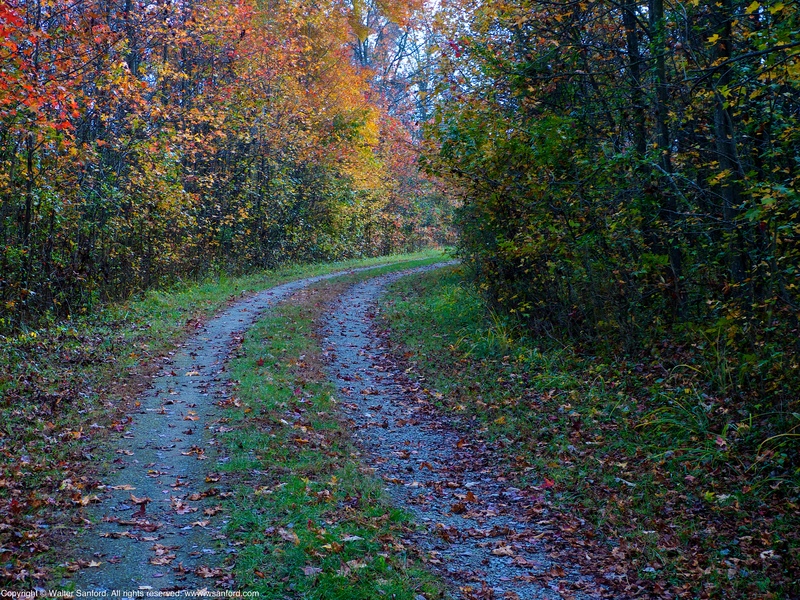 With sincere apologies to Robert Frost for slight modification of the title and first stanza of his famous poem The Road Not Taken in order to convey my impressions of Fall 2017 at Occoquan Bay National Wildlife Refuge. A frog-let/toad-let — my term for small frogs and toads — was spotted during a photowalk along Easy Road at Occoquan Bay National Wildlife Refuge, Prince William County, Virginia USA. 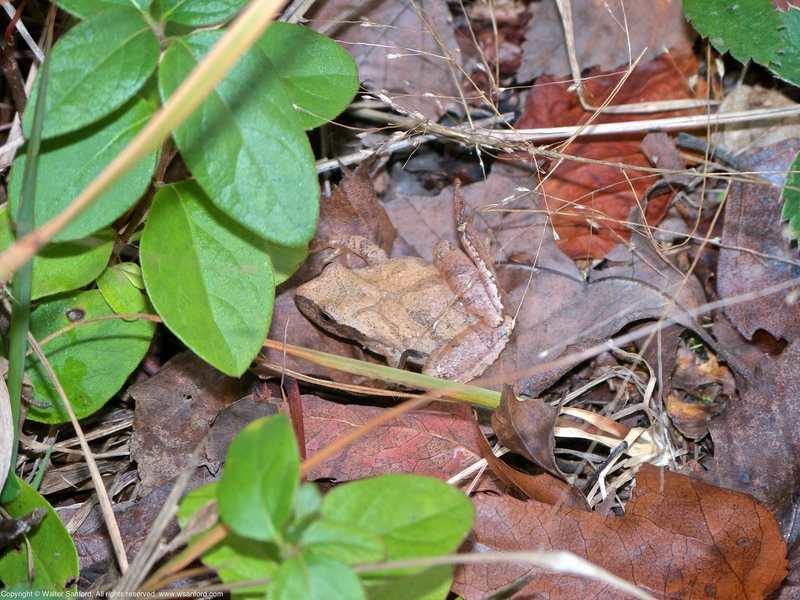 Turns out it’s a Spring Peeper (Pseudacris crucifer), as indicated by the dark “X” on the frog’s dorsal side. Every spring, the sound of male Spring Peepers calling for mates is deafening. You hear them, but you see them rarely. You don’t expect to see them during the second week in November! Some amphibians have been confused by the mild weather in Northern Virginia, thinking it’s spring. The first hard freeze this fall occurred overnight on Friday-Saturday, November 10-11, when the record-setting low temperature at Reagan National Airport (DCA) was 26°F. I hope this little one hunkered down like frogs are supposed to when it’s cold. 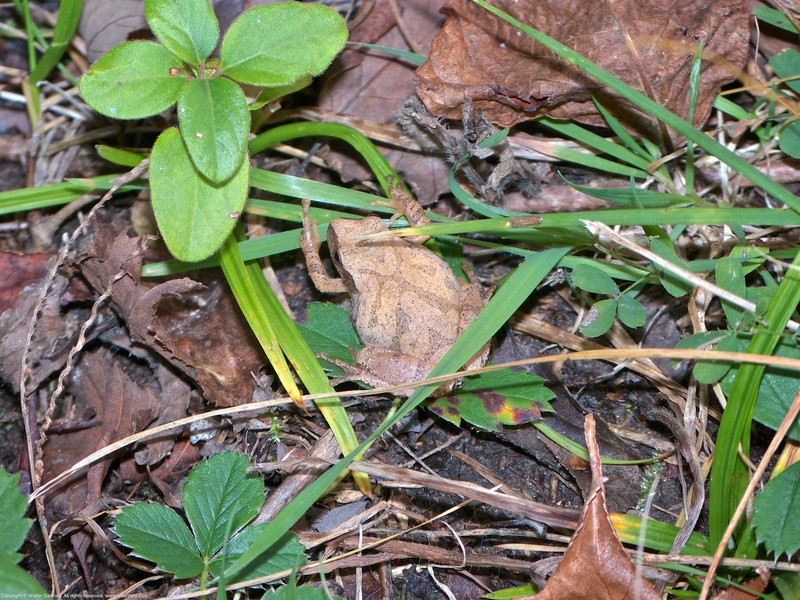 Related Resource: Spring Peepers, a blog post by Alonso Abugattas, Natural Resources Manager for Arlington County Parks, Virginia USA. 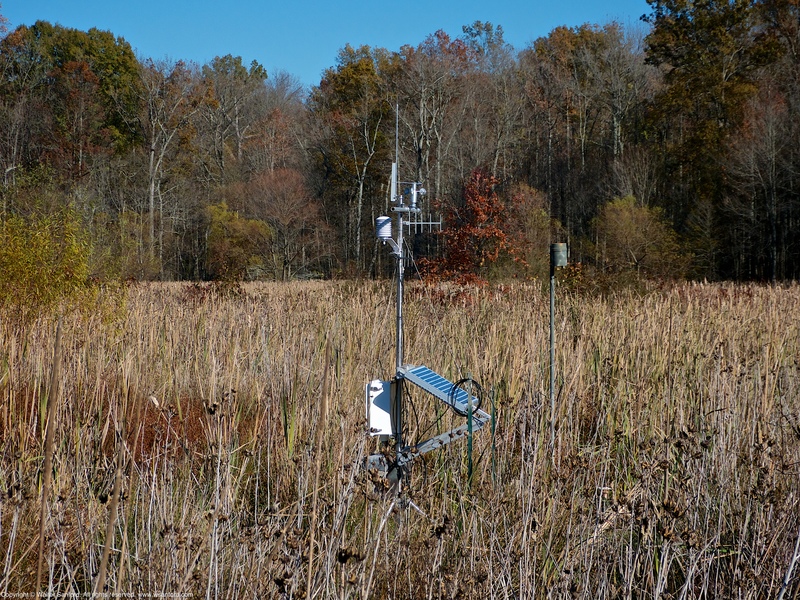 Did you notice the new automated weather station located in the central wetland area at Huntley Meadows Park, Fairfax County, Virginia USA? The old weather station, installed and maintained by Virginia Tech University, went offline after 23 September 2016. 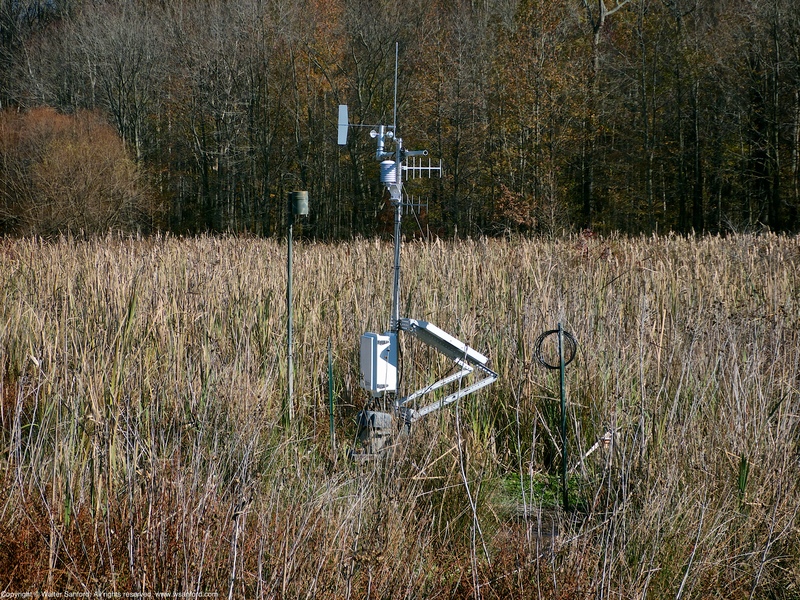 The [old] Huntley Meadows weather station was installed to help park personnel manage water levels within the wetland. 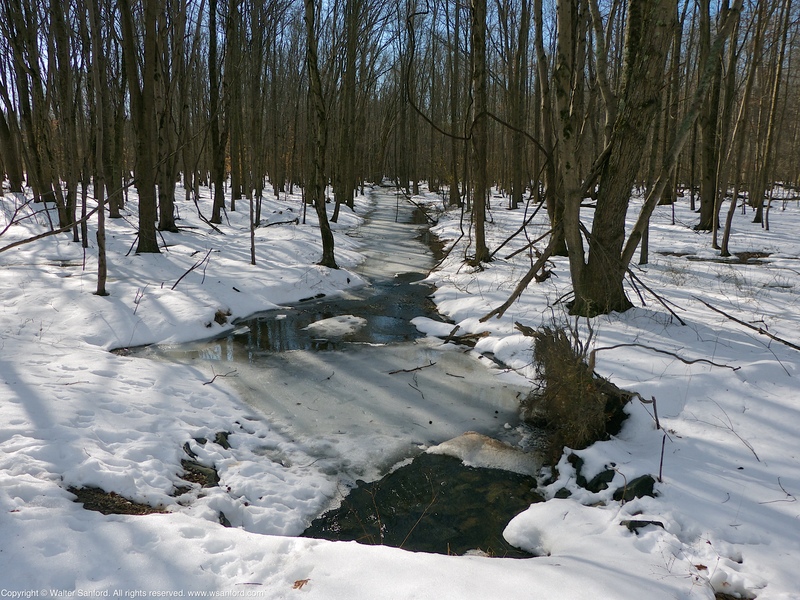 Source Credit: Huntley Meadows Wetlands Research. The new station is up-and-running; real-time data is supposed to be available online soon. 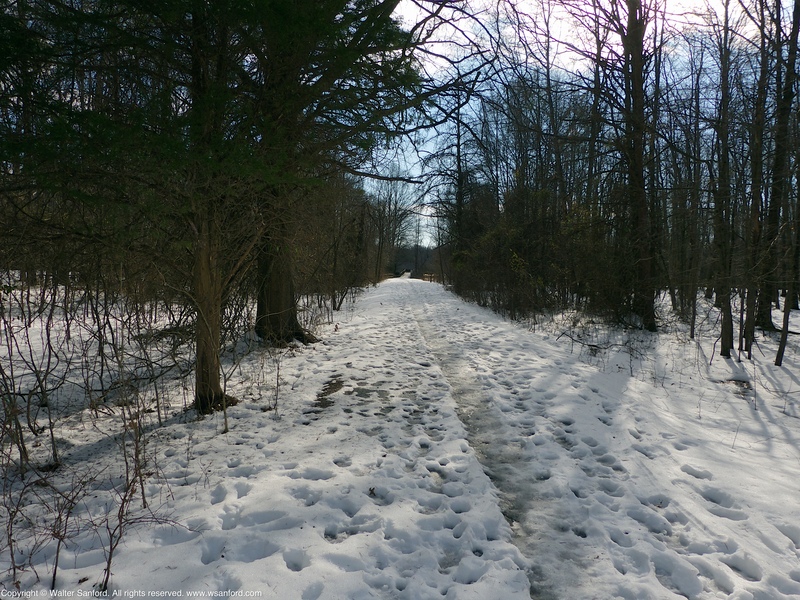 Editor’s Note: The author contacted both the park manager and the natural resource manager; neither person was willing to estimate when the new weather station will go online. Look for a post update when more information is available. The “exposure triangle” has three corners: 1) Aperture; 2) Shutter Speed; and 3) ISO (light sensitivity). When shooting in “Program” mode and Auto ISO, all three corners of the exposure triangle are wildcards set by the camera. In “Aperture Priority” mode and Auto ISO, the user selects the aperture (lens opening) and the camera selects the shutter speed and ISO. In “Shutter Priority” mode and Auto ISO, the user selects the shutter speed and the camera selects the aperture (lens opening) and ISO. Finally, in “Manual” mode the user selects all three settings in the exposure triangle. All of the photos in this post were shot in “Aperture Priority” mode at ISO 100. That leaves one corner of the exposure triangle for the camera to set: Shutter Speed. At an aperture of f/4 and ISO 100, the camera is set for a relatively wide lens opening and maximum light sensitivity. 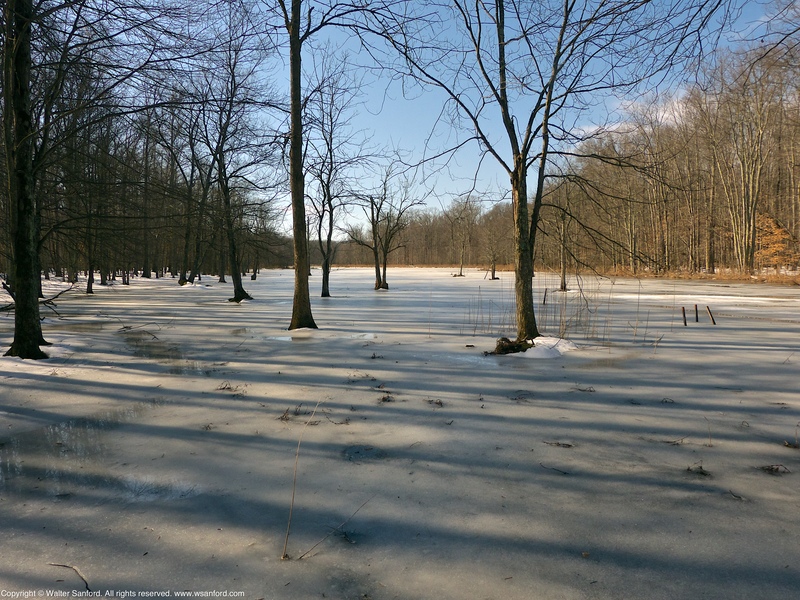 Ice and snow are very reflective surfaces, so it’s no surprise the camera selected fast shutter speeds to limit the amount of light received by the camera sensor. One upside of this combination of settings: Camera shake was virtually a non-factor! Notice that exposure compensation (ev) was used for most of the photos. In “Aperture Priority” mode at a fixed ISO, exposure compensation affects shutter speed: negative exposure values (ev) make the shutter speed faster, further reducing the amount of light received by the camera sensor; positive exposure values make the shutter speed slower, increasing the amount of light received. 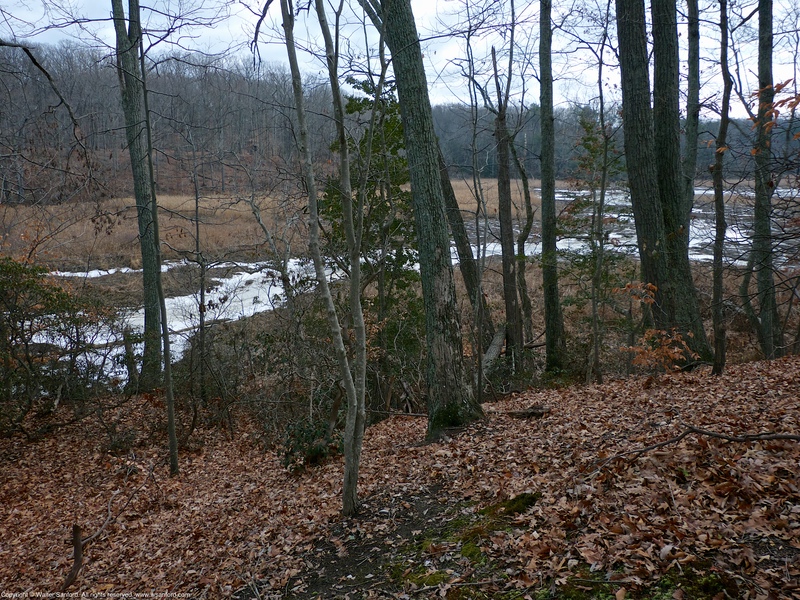 Looking downstream along a creek that crosses the Hike-Bike Trail. Approaching the observation platform at the terminus of the Hike-Bike Trail. Notice the chromatic aberration in the tree tops at the upper-right corner of the photo. Looking toward the observation platform. 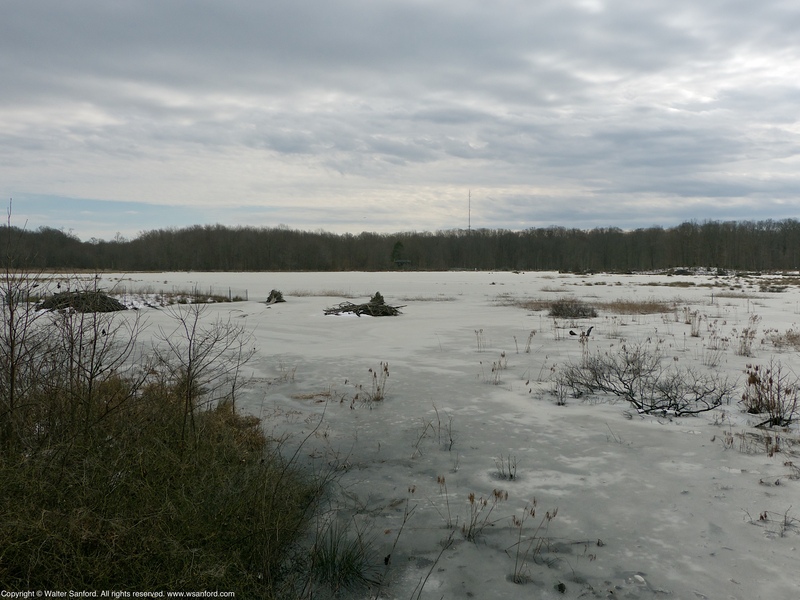 The central wetland area, as viewed from the observation platform. Notice the observation tower is faintly visible at the far side of the wetlands. 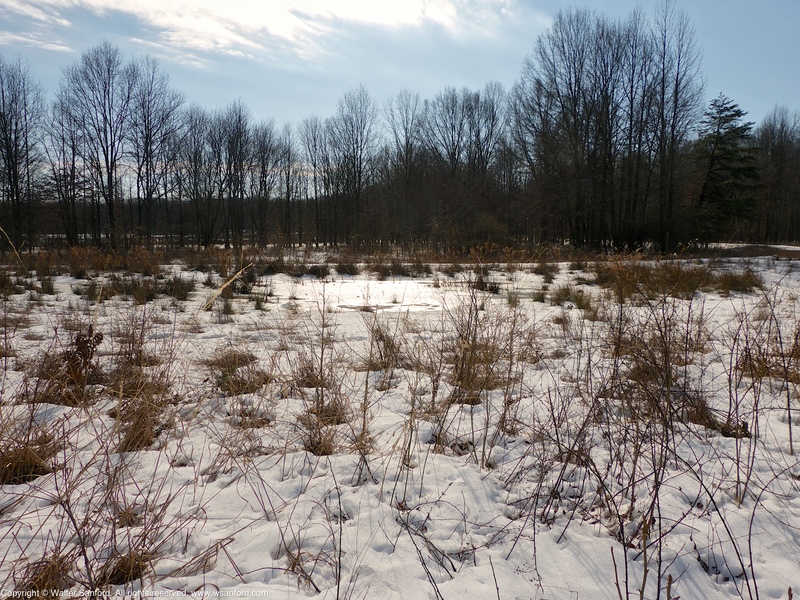 A vernal pool located near the terminus of the Hike-Bike Trail. The pool is mostly covered by ice and snow and somewhat difficult to see in the following photo. Heading toward the parking lot at the beginning of the Hike-Bike Trail. Related Resource: The exposure triangle and exposure compensation. Pattern recognition. 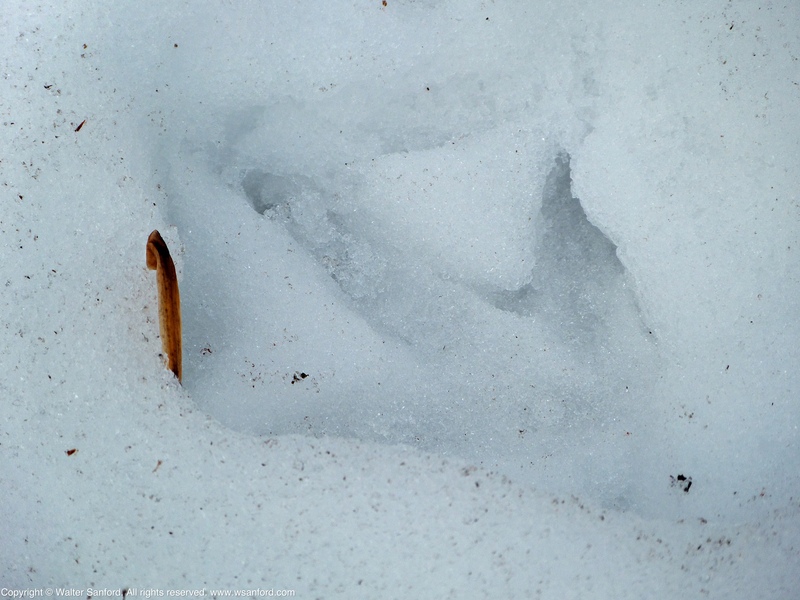 The richness of my field experience is often the result of my ability to recognize patterns in nature. For example, while exploring a remote location in the forest at Huntley Meadows Park, I spotted a set of Wild Turkey tracks (Meleagris gallopavo). 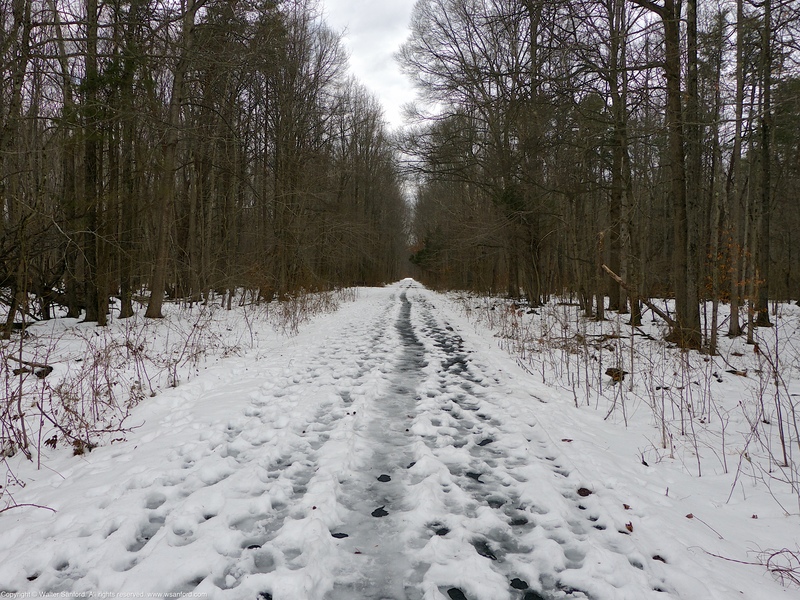 I recognized the shape of the turkey footprints in snow as a result of a chance encounter a few years ago, when I was able to tag along with Mr. Kevin Walter — Natural Resource Specialist, U.S. Army Garrison Fort Belvoir — for part of a field survey of birds at Accotink Bay Wildlife Refuge. 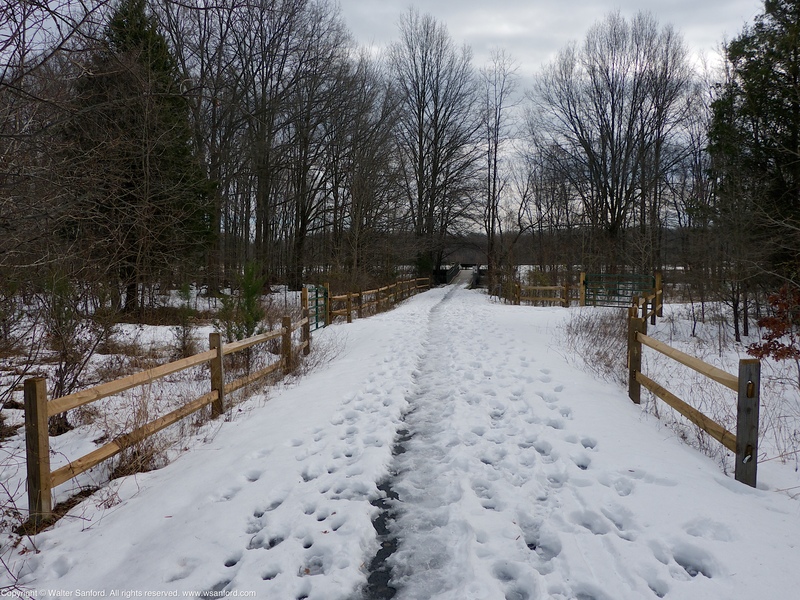 As we were walking along “Great Blue Heron Trail,” Kevin pointed out a fresh set of Wild Turkey tracks. 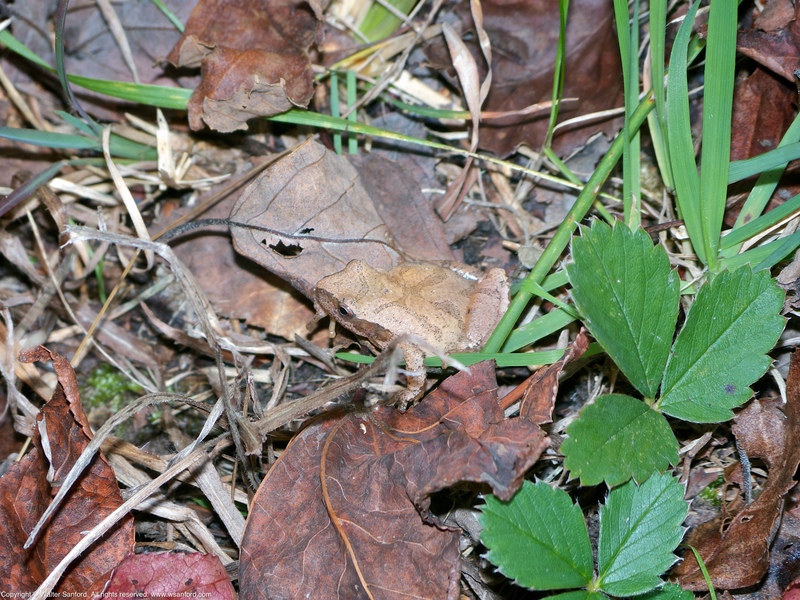 Editor’s Note: Sincere thanks to Alonso Abugattas, Ed Eder, and Ben Jessup — a professional naturalist and two excellent amateur naturalists, respectively — for verifying my tentative field identification.